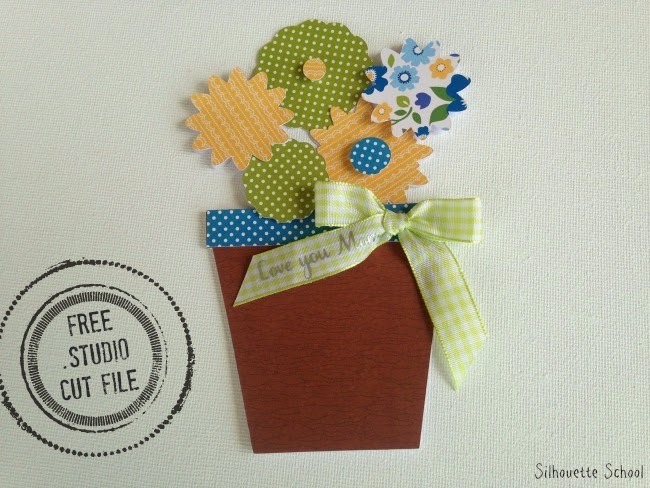 Here's how it's going to work...every Friday I'll share a free cut file on the blog. Some of the Freebies will including a quick tutorial with them, others that are pretty self explanatory will just be the file. All freebies can be found by clicking the 'Freebies' tab along the bar under the header on the blog at any time. Also, please keep in mind, the V2 and V3 .Studio files will only be available through Dropbox (it's free, easy and fast to sign up for an account)..that's really the easiest way I can share files with the masses. The link to download can be found at the bottom of each Freebie Friday post. Once you download and save onto your computer, go into Silhouette Studio > File > Open and navigate to the folder where you saved the file. Enough about all that...here's this week's Freebie Friday file. This flower pot envelope and card is perfect for Mother's day! 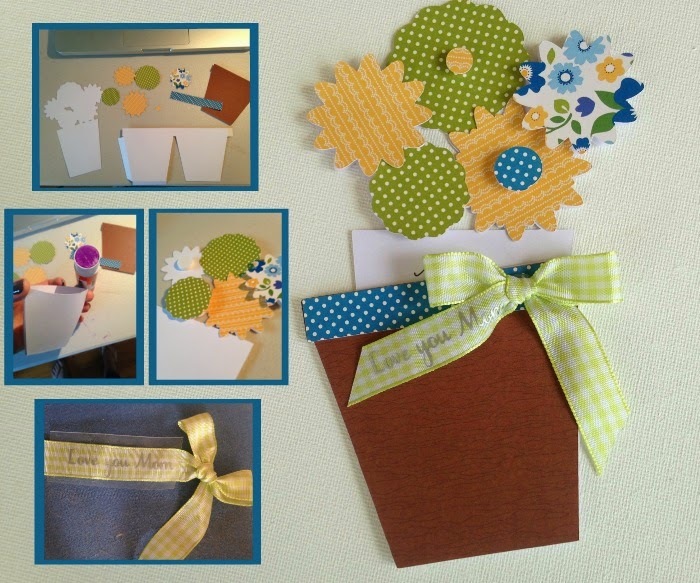 The flower pot is cut, folded and glued along the side folds and bottom (don't glue along the top or you won't be able to slide the card in) to form the envelope, while the flowers can pull out as the card. 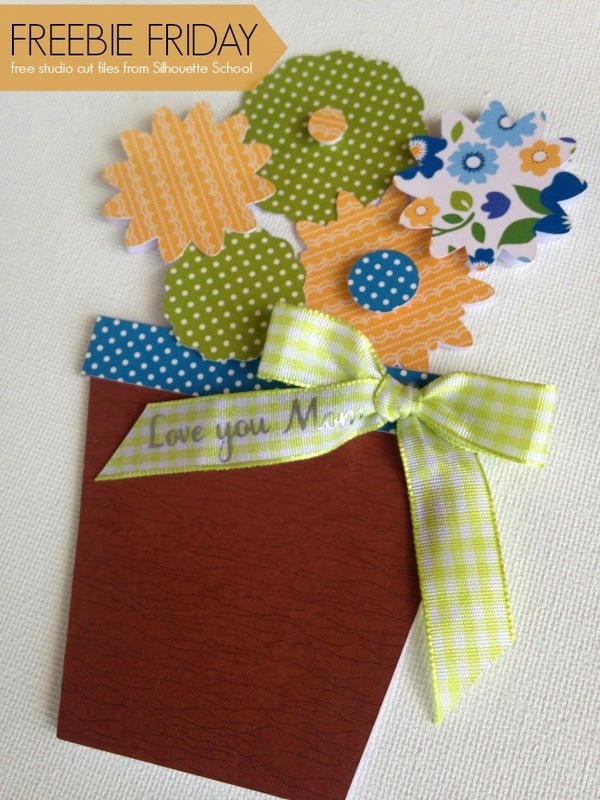 I used glue dots to glue together the sides of the pot and foam dots to attach some of the flowers to give the card some added dimension. HTV was added to the tiny bow using a flat iron (read more on adding heat transfer vinyl to ribbon here) and was then attached to the card with a dot of hot glue. 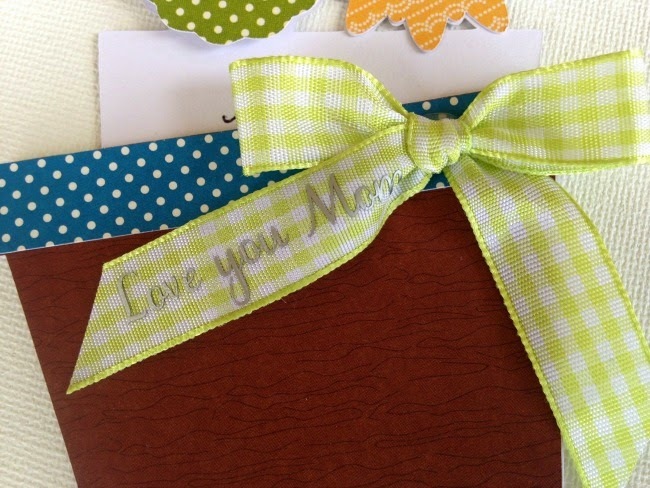 Use sketch pens to write a sentiment or write your own personal message inside for mom. 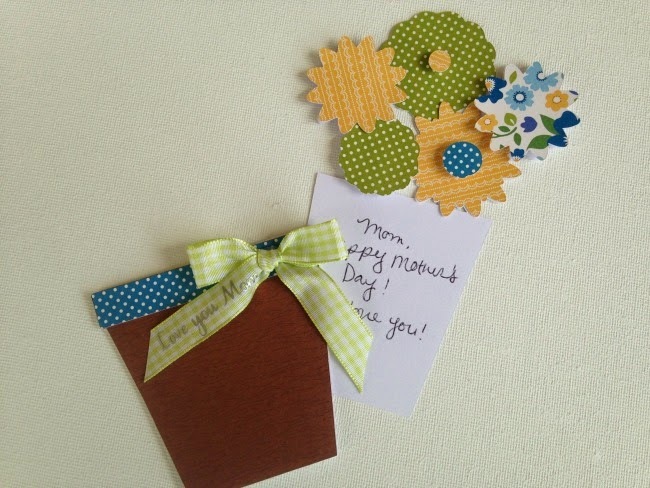 Then just slide the card into the pot and you've got yourself an adorable Mother's Day card for mom. Thank you! I can't wait to try this! Thank you so much! I cannot tell you how much I appreciate you and this blog! !